Keystone Boxing & MMA Gym is dedicated to providing the youth and adults of the Bristol Borough area with a safe, positive and welcoming training environment. Our programs are designed to teach discipline self-control and coordination while instilling confidence and commitment in members of all ages. in members of all ages. Fun and high energy, our Youth Programs focus emphasize fitness over fighting. Younger kids will learn the fundamentals of mixed martial arts (mobility, flexibility, discipline) in a safe, welcoming environment while our structured boxing and jiu jitsu programs teach teens and pre-teens focus, dedication and hard work. Whether you're looking for a great workout, dreaming of becoming the next champion or just looking to try something new, our instructors are here to help you achieve your goals. 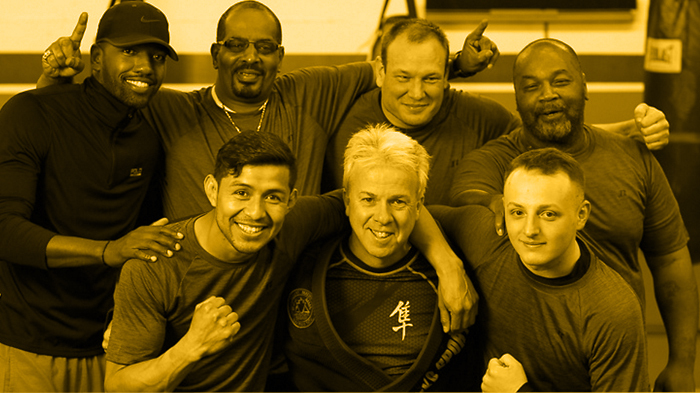 Discover your potential in one of our Adult boxing, kickboxing, jiu jitsu or mixed martial arts programs. I like making memories for people and seeing their faces when they learn something new, showing parents what their kids are really capable of. "Hi, I'm Coach Jose, owner and instructor here at Keystone Boxing & MMA. Having competed in MMA, kickboxing, jiu jitsu and USA Boxing for a number of years, I've turned my passion for competing in the martial arts into teaching both kids and adults the various disciplines. Come see me at the gym and decide if I'm the right person to coach you!" Though our instructors come from a variety of different backgrounds, skill sets and disciplines with years of experience, they all have one thing in common: a passion for teaching and a desire to help you learn while making some great memories.